1. 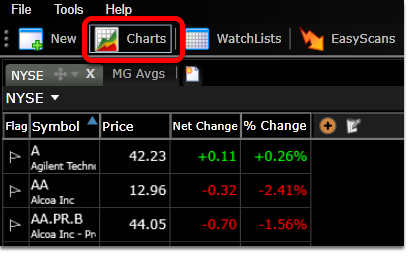 Click the Charts icon. 2. 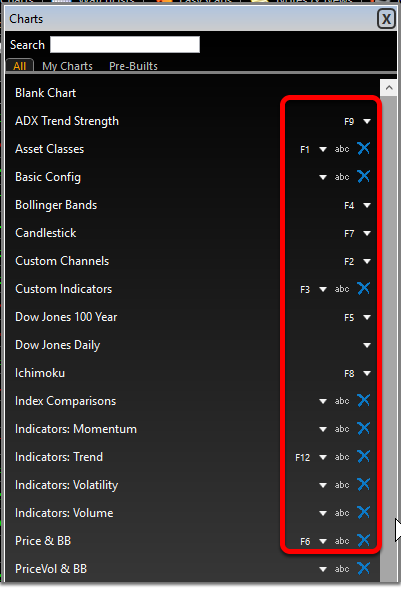 Each chart template has a small white arrow to the right. 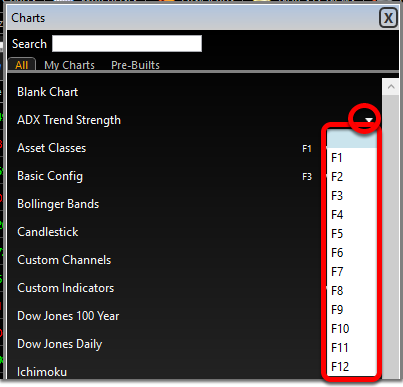 Click this arrow to assign each template to one of the F1- F12 hot keys. 3. Select an F key to assign to the template. *F10 is reserved for use by Microsoft Silverlight and cannot be assigned. Your templates are now assigned. 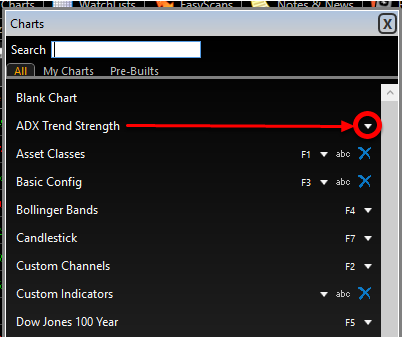 This allows you to quickly toggle between charts by pressing the F keys on your keyboard.